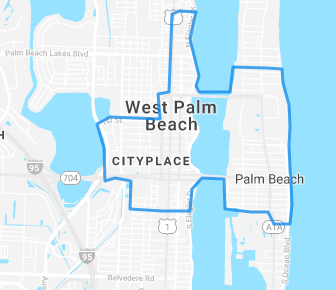 I got to take a ride around downtown West Palm Beach and Palm Beach island this week with The Free Ride and had an absolute blast. The Free Ride is a service and app available in the iTunes and Android app stores – check out TheFreeRide to download! – that allows you to get a free ride in specific geographic maps. They have services running throughout the country, including West Palm Beach and Ft. Lauderdale. 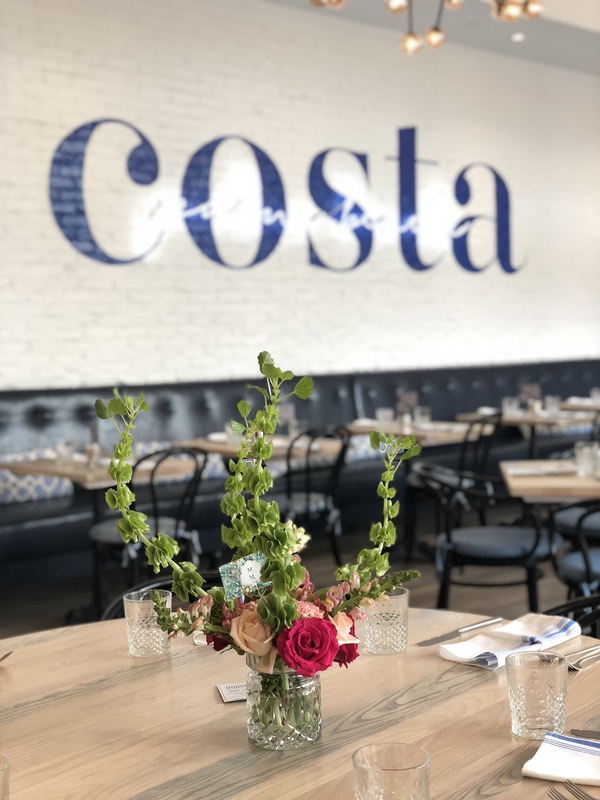 In our area you can cruise around the downtown area from Hilton WPB and CityPlace to Clematis and across the bridge from Royal Poinciana down to Worth Ave and the beach. We kicked off the day on the 500 block of Clematis Street at Subculture Coffee. 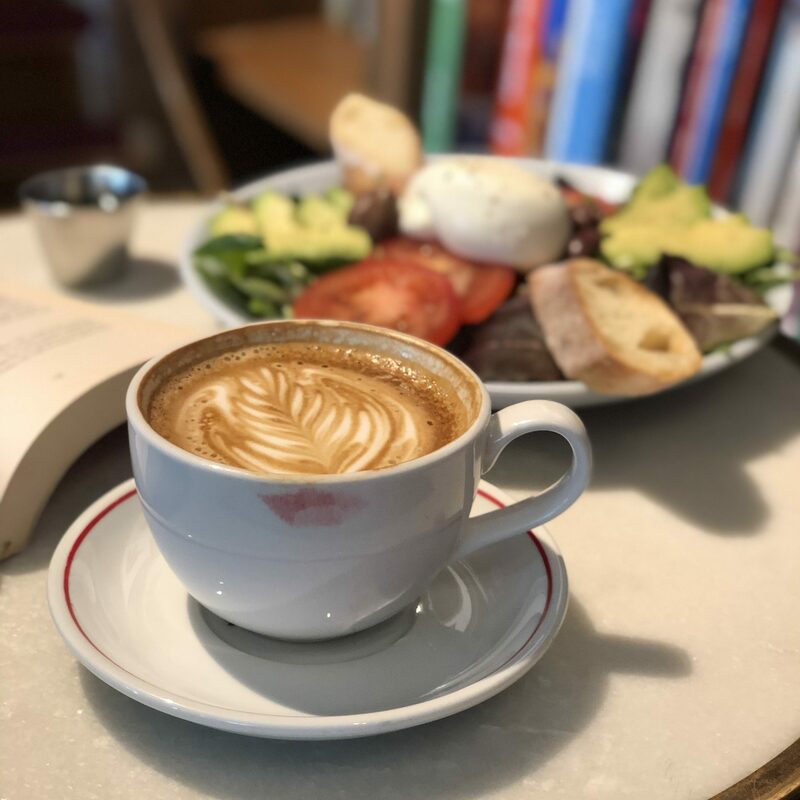 After blowing a kiss to Einstein in his Kobra mural, we made our way inside for a burrata salad with avocado and mixed greens and a detailed latte art cappuccino. 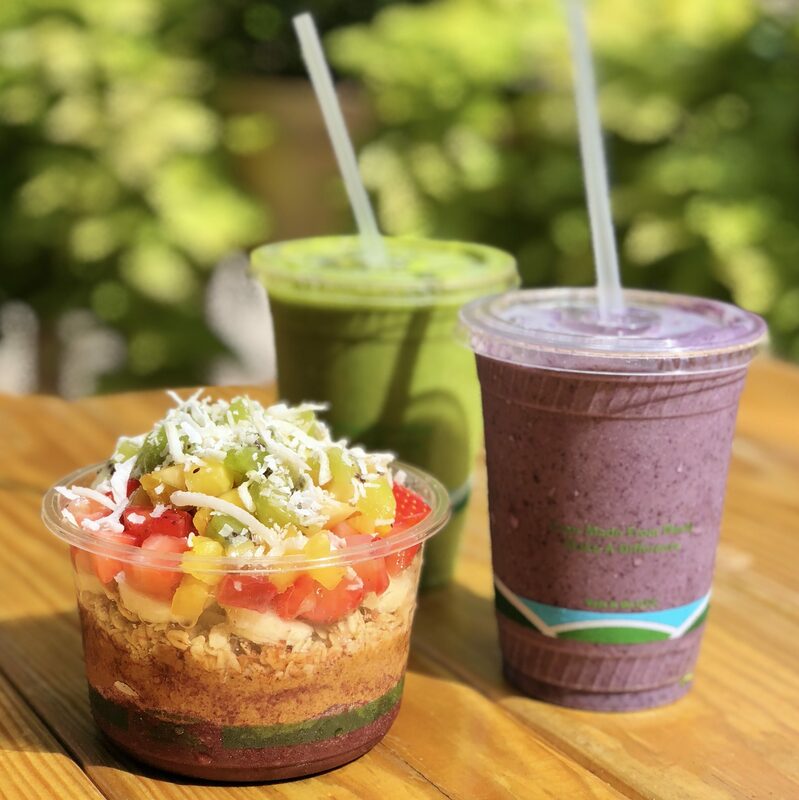 Subculture Coffee offers espresso and coffee beverages alongside the Annex menu of smoothies, salads, sandwiches and acai bowls with beer and wine. Requesting a ride on the app was quick and easy. Brian, our driver, gave us a little background info on downtown as we headed into CityPlace to visit The Shack. Hess greeted us with his million dollar smile and we popped up to the window to order an acai bowl and smoothies. I personally love the Reef Road with almond butter added. If you’re not familiar, The Shack is an adorable pop-up spot by Field of Greens offering fresh bites complete with a ping pong table in the plaza. After some bright and yummy goodness, we headed over the bridge to the island and down Worth Avenue, home of Island Company‘s flagship store. 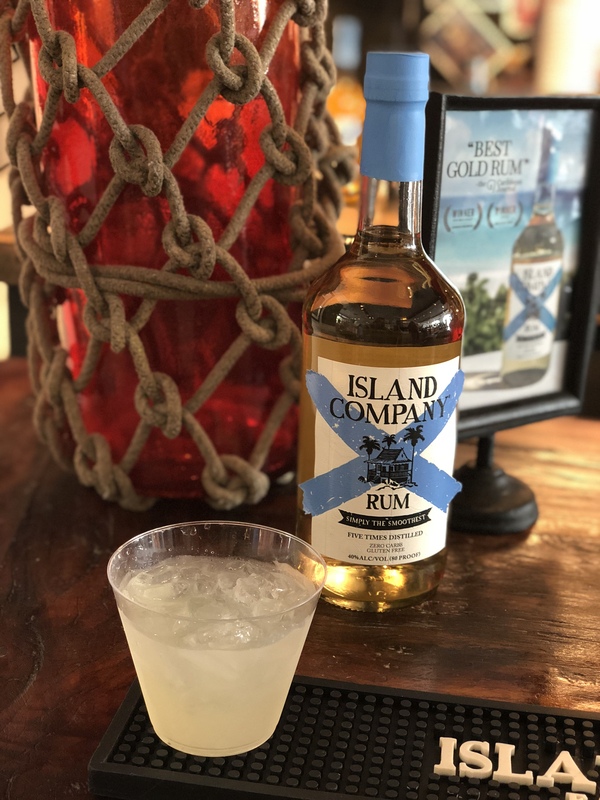 Surrounded by beautiful clothes, aromatic sunscreen and island vibes, we sipped on Island Company Rum daiquiris and perused the store. Side Note: I also rocked an adorable Island Company ensemble for the day – the Sorbet Corfu Top with White Linen Shorts. We took a brief tour of the island on our way to the Royal Poinciana Plaza for a bite at Sant Ambroeus. The gelato cart was calling my name, so I ordered an Affogato with piping hot espresso for an afternoon pick me up alongside a vibrant Polpo Croccante grilled octopus dish. For our last stop, we headed back to Worth Avenue with a beachside ride along Ocean Blvd to take in the salt air and visit the clock tower. To cap off the day, we climbed the iconic stairs of 150 Worth Esplanade up to Costa Palm Beach for a cocktail. The Framboise Bourre was perfect with its bright pink color, vodka base, ginger, raspberries and lime. 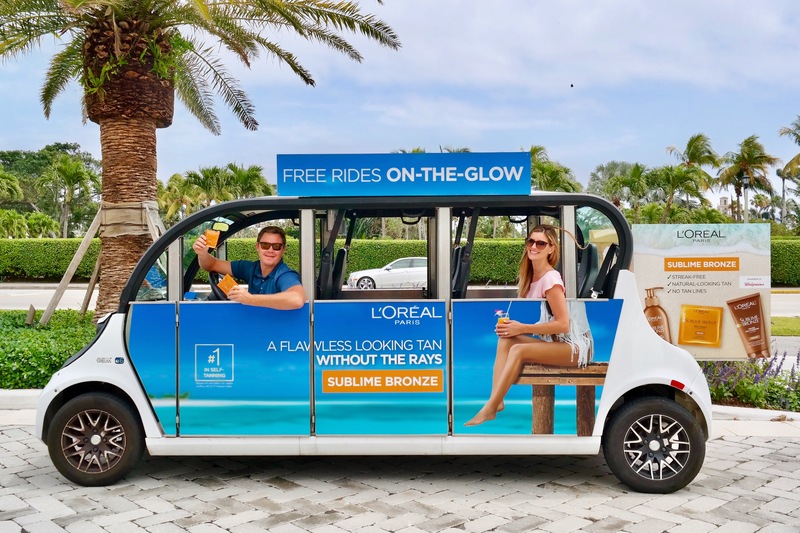 If you are looking for a fun way to explore the area, a free ride within the limits or new way to see the sights, head to The Free Ride and download the app today! TheFreeRide is also a perfect mode of transportation for Brightline riders, guests of Hilton WPB, visitors to the WPB Green Market, and SunFest or Palm Beach Boat Show goers!